A TAX CUT some RED TAPE and a giveaway! Michele Lynn Seigfried is an award-winning novelist, children’s book author/illustrator and public speaker who was born and raised in New Jersey. In her mystery novels, she draws from her personal expertise in the area of municipal government, in which she has served for over 15 years in two different municipalities. She holds a B.A. in communication from the College of New Jersey with a minor in art. She obtained the Master Municipal Clerk certification from the International Institute of Municipal Clerks in 2010. She also holds the Registered Municipal Clerk certification and Certified Municipal Registrar Certifications from the State of New Jersey. 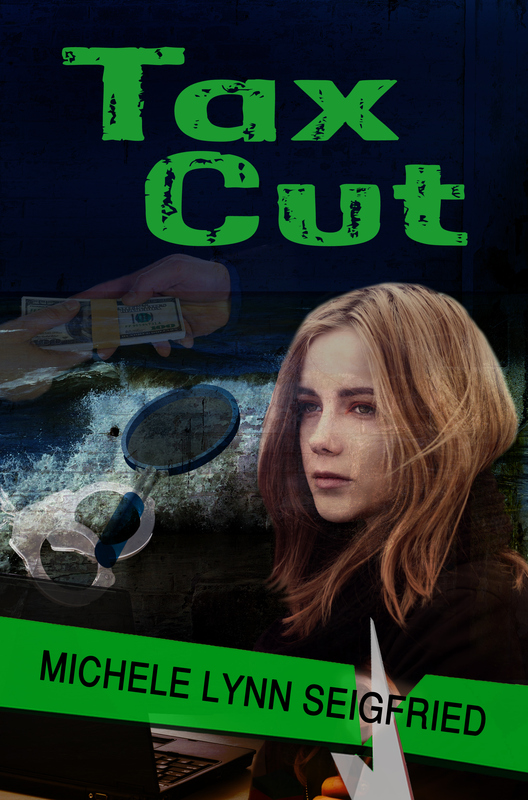 Michele is here today on tour for her newest addition to the Jersey Shore Mysteries, TAX CUT, with Great Escapes Virtual Book Tours. There is a Kindle edition of Tax Cut for one person who leaves a comment. Join me in welcoming Michele as she tells about a day in her life. I awaken to the sounds of starvation. At times, the sounds are bloodcurdling screeches and hisses. At other times, the sounds become a low-pitched chant. “Ba, ba. Ba, ba. Ba, ba.” The sounds interrupt my pleasant dreams of eating chocolate and drinking vino, yet never gaining a pound. I glance at the clock; it’s 5:30 in the morning. I stumble out of bed in the darkness, only half awake, tripping over the Pomeranian mix that I’ve called mine for sixteen years now. He yelps. I glance over at the lump next to me, my husband, snoring loudly. The sounds do not disrupt his sleep. I wonder what would happen if I wasn’t home. The wails become louder. “Mommy’s coming, Madi,” I call. It amazes me that a two-year old can eat double what I eat, is a mere sixth of my size, and feels so hungry so early in the day. There is never a need to set my alarm. While I adore her little face and sweet smile, I don’t adore waking up so early. I had never been an early riser, until Madi came into my life. I change her and dress her then head downstairs to fix a bottle (yes, I’m one of those bad mothers that still allows her toddler to have a bottle). I let the dog out and notice the wildlife in the yard. Sometimes there are raccoons, Red-headed Woodpeckers, Mourning Doves, Blue Jays, Cardinals, squirrels, and chipmunks eating together in harmony. I can see egrets, beavers, a great blue heron, and a variety of ducks in the creek along the back of my house. I feel like Snow White for just a moment. I retreat to the shower, dress, then straighten my unruly hair with the over-priced straightening iron I was suckered into purchasing at the local mall. It works well enough, so long as it doesn’t rain today. I head back downstairs, where I pour a bowl of Special K Red Berries with non-fat milk. The lactaid kind. At least I won’t have those problems today at work. I can’t resist giving half of my cereal to Madi, when she comes to me, mouth wide open, saying, “Um, ums.” I wonder why I’m not skinnier. Oh yeah, I eat too much chocolate. I note to myself, that I must start a diet…tomorrow. “What?” he responds, as if he hadn’t heard me say that before. I sigh and give up on that losing battle, saying my goodbyes, giving my daughter kisses, and leaving, at times, when Madi is in a full-blown temper tantrum from separation anxiety. A bribe of another cheese puff does the trick to calm her down, and she waves me off. I note she’s as food motivated as my dog. 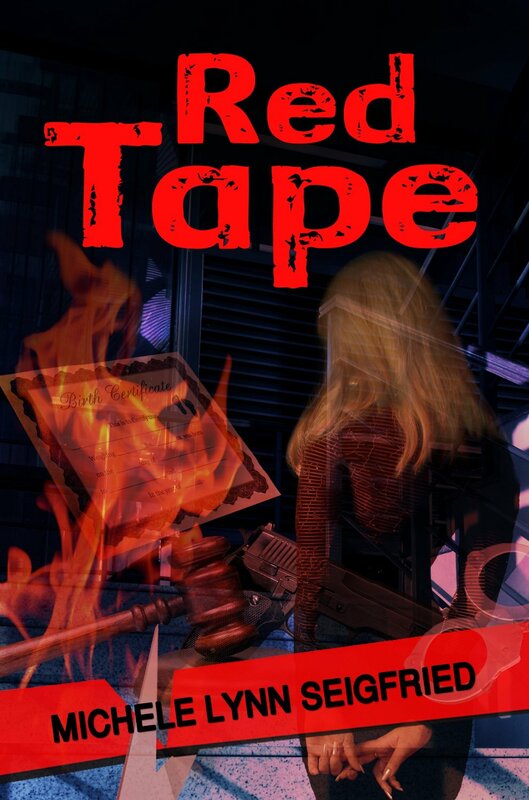 I spend my day at work, which is as a municipal clerk for a local government, and is not even close to being as exciting, mysterious, romantic, humorous, or demented as the job/employees in my two novels, Red Tape and Tax Cut. I guess that’s why I have to make up drama in my books and live vicariously through my characters! I finish the day, pick up my daughter, get some take out and head home. (Cook? What’s that?). We eat, then it’s bath time, followed by bed time for Madi. While she’s an early riser, she goes to sleep by seven at night. It’s then that I grab my laptop, nuzzle into my sofa, and escape to another world by writing novels or illustrating children’s books—until nine at night, when I pass out. And not from wine, either! Morning will come early again tomorrow. All joking aside, I love my simple life and my family. I consider myself lucky to have a supportive husband, a wonderful daughter, a roof over our heads, food on the table, and the little things that make life worth living. You’ll L.O.L. 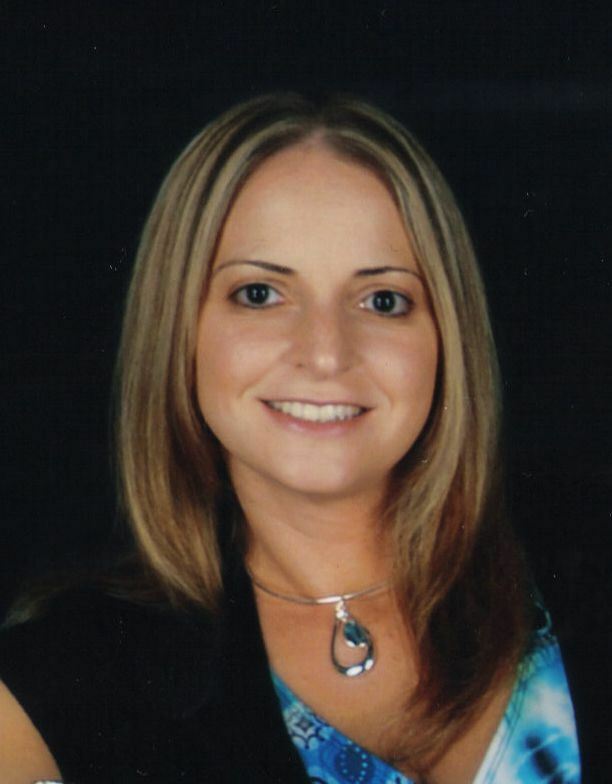 because Municipal Clerk Chelsey Alton is at it again! Working for a government riddled with crime, she and her sidekick Bonnie investigate to find out the answer to the pressing question: Who killed Vinny Buttiglieri? She finds herself entangled with dangerous mobsters and corrupt politicians. She thinks she’s doing the right thing, but can she save herself when she becomes entrenched too deep in this Jersey shore mystery? Hi Kate! I’m so excited that you liked my first 2 novels! You put a big smile on my face today! I also wanted to thank you for hosting me on your blog today! I truly appreciate it! You’re welcome Kate! I agree with you! Unbelievable to the point that if you didn’t laugh, you’d cry! lol. Pingback: Michele Lynn Seigfried | A TAX CUT some RED TAPE and a giveaway! A great post and talented writer. Thanks for this interesting book. Thank you Anne! How sweet of you! A Day in the Life was engaging and so true to life! Both her books will go on my TBR list. The blog posting was so good; read it twice actually. I am going to order your books and will promise to do reviews as soon as they are read. Good luck with your writing, and I will spread the word the best that I can, as most of my friends and I are cozy mystery fans and I would like them to know all about you. Always looking for new authors to follow for cozies and children’s books too. I can’t tell you how much you have made me smile reading this comment! I am so grateful to you for your support! This means so much to me! The reviews are so helpful and I can’t thank you enough! I truly hope you enjoy the books! Keep in touch and let me know how you like them! I loved the interview, books look fun. Thanks Kaye! I hope you enjoy them!